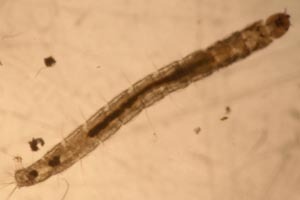 The water here had receded about a metre over the past week, and in several places many hard brown pieces of stoneworts had collected among the rocks, giving them a stronger “aquatic” scent. 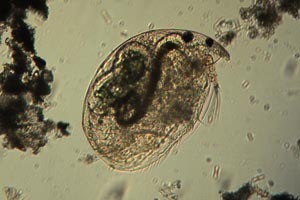 Some of these were taken as well as a rock caked in hard mud. 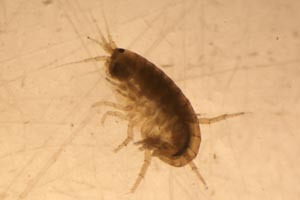 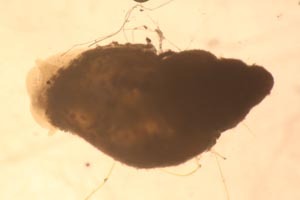 An amphipod, some midge larvae, and a pond snail were also found in the sample. 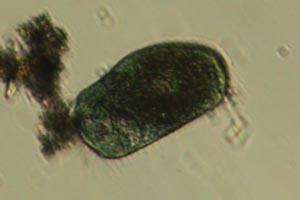 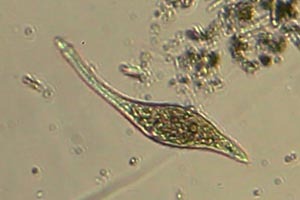 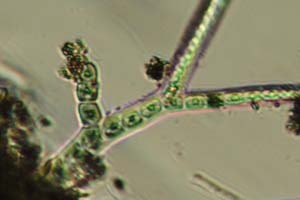 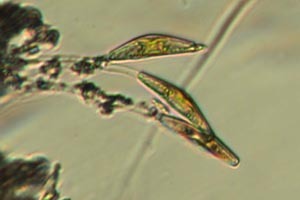 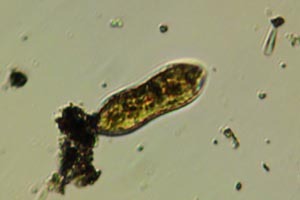 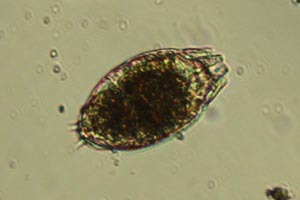 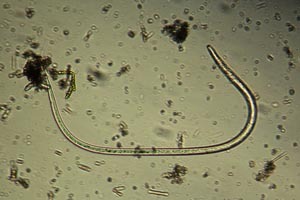 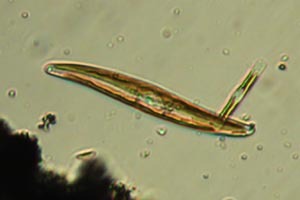 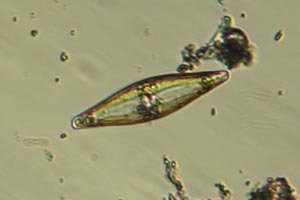 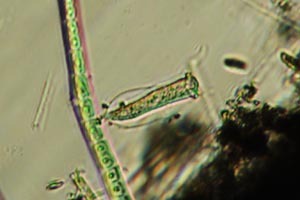 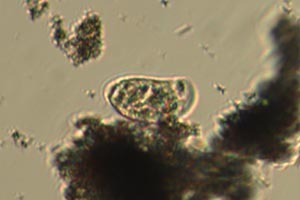 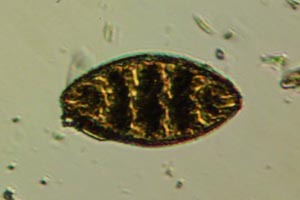 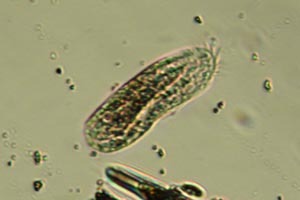 Diatoms occurred throughout, most notably stalked Cymbella on the mud. 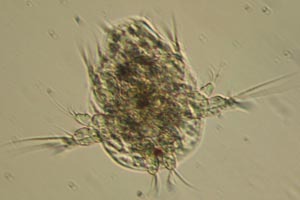 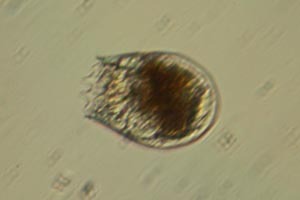 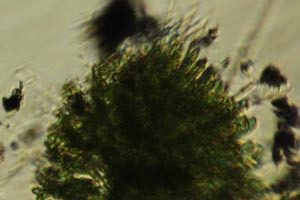 There were also some ciliates, including both blue-green and colourless heterotrichs, and a few short-toed rotifers and roundworms. 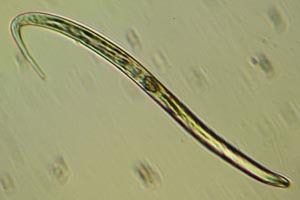 One piece of stonewort had several epiphytes, mainly tree-shaped Chaetophora but also Chroodactylon.